Modest homes are seeing the biggest price rises, with cash buyers more likely to snap up cheaper properties than dearer ones. This is mainly because cash buyers are more active in the lower-end of the housing market, pushing up prices of smaller homes in less desirable areas. This means there is a limit on the ability of the Central Bank's lending rules to control property prices, a study by an economist has found. Cash buyers can represent up to half of all purchases of residential properties. These buyers include corporates and non-government agencies. They also include householders using equity from their home, or a bank deposit, to finance the purchase of a buy-to-let. Mortgages fund six out of 10 purchases in Dublin, but just four out of 10 purchases are funded by a mortgage in other parts of the country. Findings by Central Bank economist Edward Gaffney show modest homes bought mainly by cash buyers have increased in value the most. Competition among cash buyers for lower-valued properties is pushing prices up at a much faster rate than for more expensive properties funded by mortgages. Between 2016 and 2018, prices of more modest properties shot up by 15pc. At the upper end of the property market prices rose by 6pc. "Banks typically lend to finance property purchases at higher prices, while non-mortgage finance is dominant at lower prices," said Mr Gaffney. The lending limits, which are formally called the macroprudential mortgage measures, mean first-time buyers need a 10pc deposit. Second-time buyers getting a mortgage need a deposit, or equity, of 20pc of the property's value they are buying. There are some exceptions. Buyers can also borrow no more than three-and-a-half times their income, although there are some exemptions. 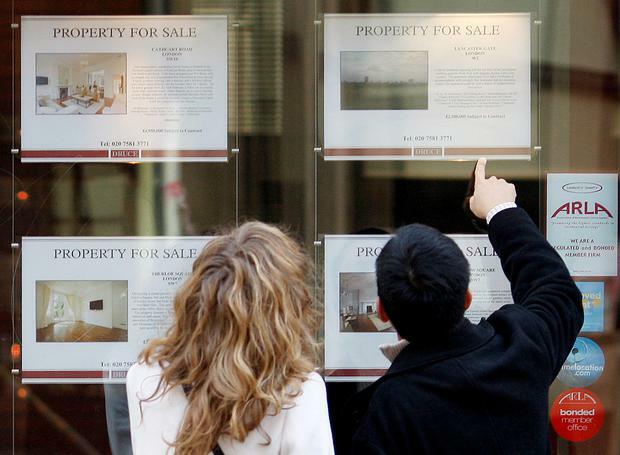 Commentators have credited the lending limits with keeping the rate of property price rises to single digits, as measured by the Central Statistics Office. Central Bank economist Mr Gaffney found that the lending limits have less impact on modestly priced houses where cash buyers are prevalent. However, the lending limits are acting to hold back prices at the higher ends of the property market, where people have to use mortgages to afford a home. This means there is a "structural limit" to the impact of the Central Bank macroprudential rules on property prices.